Heating the body above the normal body temperature is pleasant and relaxing. The sauna has great effects to relax tired muscles and soothe the stressed brain, because body flushes to blood substances bringing relief such as endorphins. Sauna belongs to one of the oldest of regeneration and relaxation methods. 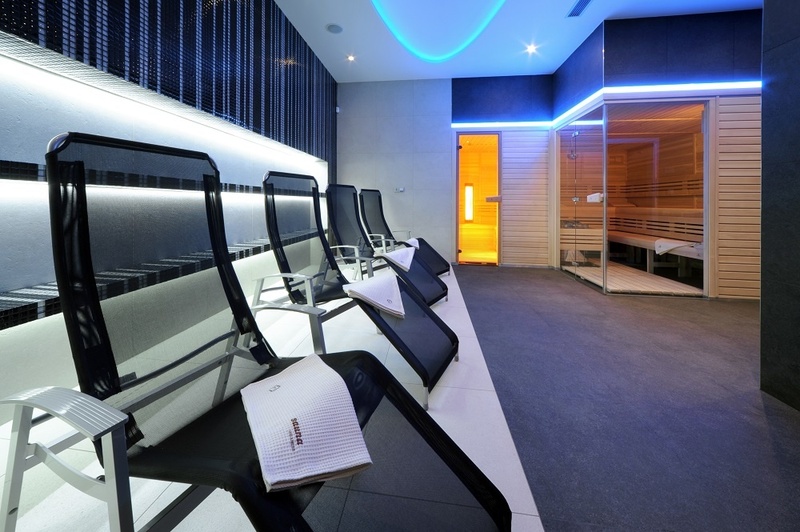 The combination of small closed rooms and hot air with minimal moisture and temperature of 90 ° C warm up to a depth of the body from which the skin excreted damaging toxins. At the end of all sauna cycles is recommended short cleansing shower and then rest for at least half an hour in a warm quiet room - ideally lying down. You will enjoy a pleasant lingering effects of the sauna and you will avoid another unnecessary sweating. After sauna is very important give to your body lost fluids. This ideally serve the daily Sport bar with a wide range of delicious cocktails from fresh fruit, mineral and isotonic drinks. Go for at least once a week to our sauna. Strengthen the body, improve your fitness, don't give a way to illnesses!